Southampton go into Sunday's EFL Cup final without injured captain and their best player Virgil Van Dijk. The Saints centre back has been arguably the most impressive defender in the league this season and his absence will come as a major hit to their Wembley hopes. Without him, Claude Puel's side lack anyone with the ability to be commanding and win the aerial duels - a shortcoming we should exploit. Jack Stephens and Maya Yoshida did an admirable job as stand-ins in the win at Anfield, but Liverpool's possession-based passing game played into their hands. Former Juve defender Martin Caceres has joined Southampton on a free until the end of the season but has hardly played in the last year and looks likely to start on the bench. Zlatan Ibrahimovic will start up front and, in the likely absence of the injured Michael Carrick, Marouane Fellaini could play a key role. Carrick's guile and fluidity contrasts starkly with that of Fellaini's style, but in the absence of the 35-year-old, Jose is likely to utilise the Belgian. The in-form Belgian has been a key man in our run to Wembley, scoring what turned out to be the decisive goal in the semi final win over Hull. He was also influential when United salvaged a late point against Liverpool in January. The introduction of the 6ft 4 Fellaini unsettled Jurgen Klopp's side aerially and he proved the perfect foil for the 6ft 5 Ibra, as the two players combined for the latter's late leveller. Fellaini was often pressed into service as a last-ditch target man by LVG and, as a result, the team often became predictable. The addition of Zlatan into the team has seen dovetail perfectly with Fellaini, and Paul Pogba's impressive arsenal of weaponry has helped to play to the duo's strengths. Ibra is the focal point, leader of our attack and the team's charismatic talisman. He's already scored twice against Southampton this season so Saints will be all too aware of the threat he poses. 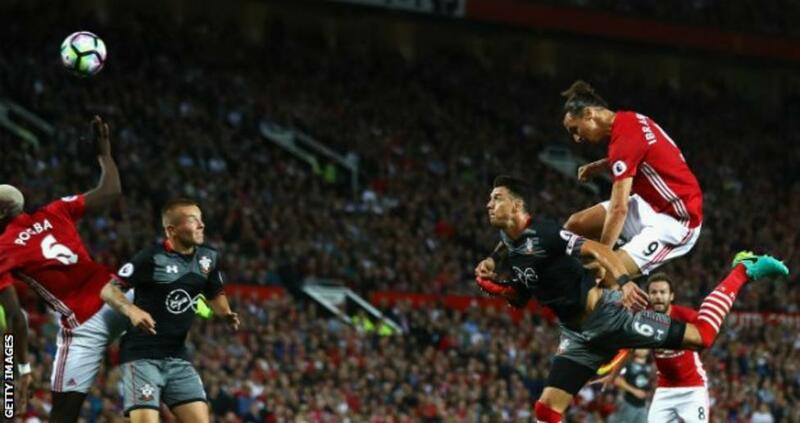 The key for United is to getting the ball up to Zlatan, then pushing players forward in support and running in behind to deliver it into the box. Saints will sit deep, stay compact and force United to break them down so it is a tactic Mourinho is likely to use again at Wembley.